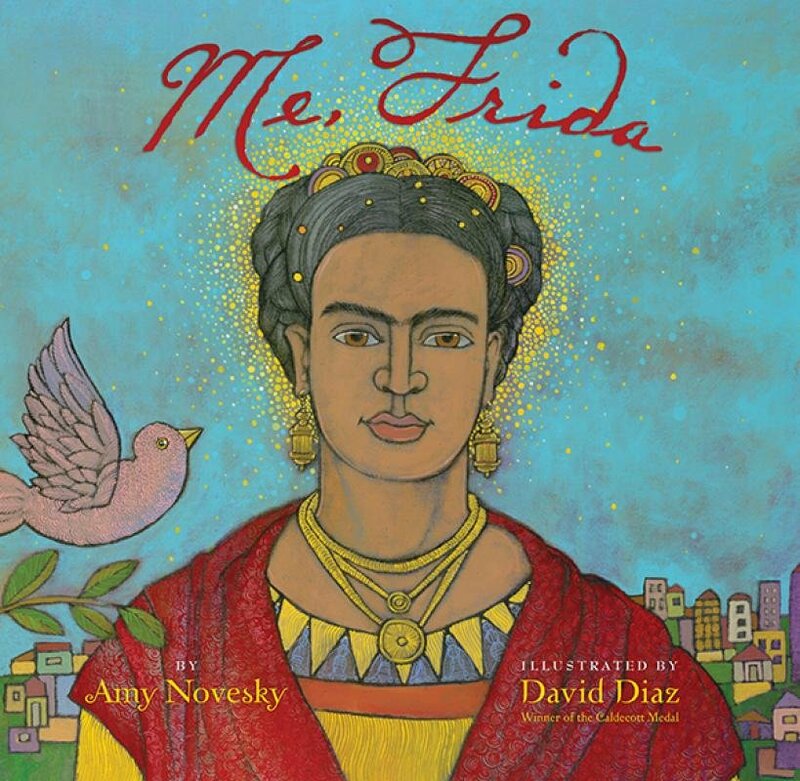 A lyrical picture book about the year when Frida Kahlo left Mexico for the first time, with her husband Diego Rivera. In 1930, the couple moved to San Francisco where Rivera had been commissioned to paint a mural. Kahlo was a fish out of water in the big city--missing the bright colors and heat of Mexico which had been replaced by the gray city landscape. She is quiet and delicate, and stands out in her traditional Mexican dress and bold jewelry. But as Frida begins to explore the city on her own, and work on her personal paintings, she begins to embrace a new culture and finally expresses her vision as an artist. She paints FRIDA AND DIEGO RIVERA, 1931, the first painting created in the style she would come to be known for. 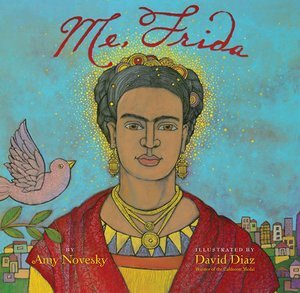 A beautiful picture book about finding yourself and being true to your own voice, illustrated by Caldecott Award-winning illustrator, David Diaz.